Yup. There is that intention in the back of my mind. Whether or not I actually do something with it is another matter entirely. A "little known fact" regarding [my version of] San Fransokyo and the primary reason that a relatively large number of Autobots (and specifically Autobot combiners) are stationed there is that there is a rift in the Pacific about ten kilometers off the shore where suspected Kaiju activity is imminent. The Autobots have volunteered to act as defense for the city, and the country as a whole. Motivation: Greed, Power, Influence. Athens desires power, and this new Merged Earth has massive potential. NPC with unlimited points, listed minions even though I didn't charge. Skills listed at 3:1 and Presence = Social Advantages in use. I always liked the concept that Osiris in Stargate SG-1 took on a female host. And it didn't matter. I took the idea to the Athena symbiote, but chose to call him Athens. The original reason I designed this was as an antagonist to Kal'annar. I don't have huge plans for a Go'a'uld presence on Earth, maybe two or three underlords, tops. Despite being an Underlord in the System Lord hierarchy, Athens is quite powerful. Given access to more technology (ships) and a larger army of Jaffa he could easily become a major player among the System Lords. I'll only stat the Jaffa if needed - mostly they'll be Thugs with either Zat Guns or Staff Weapons. Deep Dweller - Raug prefers to be underground. While not actually agoraphobic, he's pretty close. Motivation - Greed - It`s a Draconic thing. They like to acquire wealth. Another NPC of mine, still with the Skills at 3:1 and Free Advantage/ Presence rank, even with unlimited PP as it were. Raug is a Deep Dragon, and although he can still assume his Serpent Form, the nature of the Merge has somehow blocked his ability to assume full Draconic form. Not that this really limits him. He can't fly, true, but he can still Burrow through rock like nobody' business. I charged a Feature, but probably could have used Metamorph - either way, all the traits associated with Growth are also active at normal humanoid size. He's not a size changer, but I see no purpose to a limitation or even a quirk of all or nothing on his Growth powers. This includes extra mass. I didn't bother with Immunity to Aging. Dragons are extremely long lived, but I don't see a game impact for this particular character. Melee Weapons is an ability to essentially form swords, clubs, knives and the like from his draconic mass. Posting the stats for his lair would be giving away too much of the character. Last edited by Bladewind on Thu May 10, 2018 9:34 pm, edited 1 time in total. I didn`t quite finish posting his complications. And his name is actually from an Elven Dictionary I found online - it means Shadow Demon. Or at least it should. Languages don't always work with straight translations, but the two words individually mean Shadow Demon. I`ve started to post these as I often as not don`t have access to character sheets when I want to post to games. So yes, these are baddies that could come up in my PbP. I went through on my version of Hero Lab, and instead of going with the Feature, I gave him an Array. Part one was Polymorphed Dragon - Density 8. That way, he's still about 25 tons without the reach, the speed, and the Intimidation bonuses and defense losses. Then there's Growth arrayed off of that in his "Natural Form." I still love that Variable Effect on Strength "Natural Weapons." I had considered Density, but also wanted the "worm" form and my thinking was to keep the math to a minimum in play. Having a Worm form and a Humanoid form makes things complicated. For a PC, definitely. But for an NPC it's less bookkeeping for me - and by that, I mean fewer sheets on my hard drive. But definitely good points ! Well, the Worm Form the stats don't change much... but yeah, the Stealth penalties and the to-hit penalties factor in. I mostly see Raug as being mostly human. Then again, I have my own Mighty Morphing Super Dragon as well, but his default is a "winged Superman." Mostly human is accurate ! 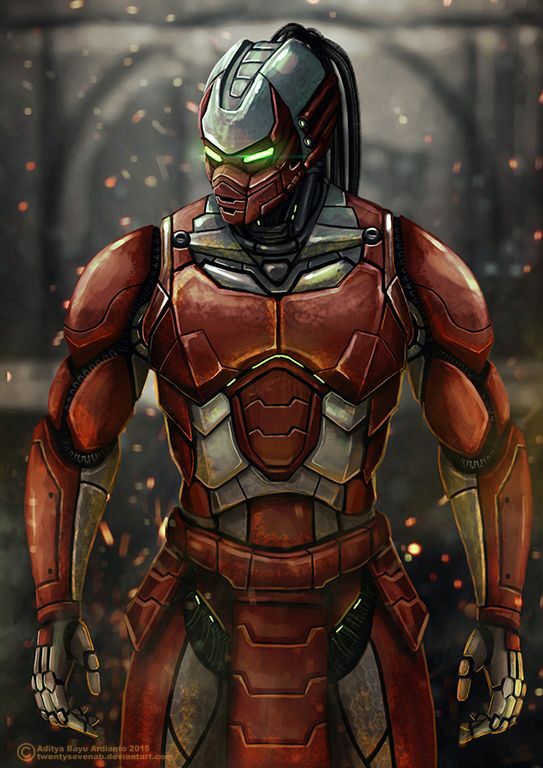 A Merge Setting character, specifically Omega Company. If my players are reading at this point, too late to say spoiler. But I did put the text in white so you have highlight to read it. I posted this so that I can post during the day. I really should have posted it when I built it as I remember how I meant for the mechamorph traits to work, just not what they replace other than flight. This character was created for the Merge Setting, based on an idea from Agents and Powers. It’s PL 17. PL 16 - 20. 18 is the benchmark with 270 PP. Trading up to PL 19 is 255 PP, PL 20 240 PP. Bonus social advantage per Rank of Presence. Negative presence only nets 1 pt per negative rank. From the old boards, I used belial666’s “Mini Hulk’s” as a starting point. The character idea and addition to belial666’s powerhouses comes from the Fury from Captain Britain. Reworked the ritual, and I'm much happier with it's cost. Gods created with this "Ritual" all have the complication "indoctrinated." This covers them not remembering their previous lives and being predisposed to overlook any inconsistencies with their new lives. It also results in them being loyal and willing to accept what Landseman tell them. It doesn't require any mental transformation powers as I see it as covered by the Summon. The subject becomes the new being. The Design Check is preparation of the target and the laboratory, including preliminary tests, exams, etc. Performance Check represents the final phase of the process. As this is an NPC, this aspect isn't really important, but I wanted to write it out anyway. Megalomania - Xander believes in his own importance and is determined to be the top dog in this merged world, despite the presence of others who are far more powerful than he is. Daddy Issues - Xander hates his father. Although he attempts to play it smoothly, his desire to destroy his father is insurmountable. Although there has been no evidence that Regis Landseman has crossed over, Xander is on the lookout for him (and by extension, his associates). Motivation - Power and Influence. Another Merge build. This is a character from James Lovegrove's Age of Zeus novel. Although I don't believe that PL 10 is necessary for the character from the novel as written, points wise and for this setting, I felt it was justified. In the novel, he doesn't have shapeshifting abilities, I added them to increase his capabilities. I put Argus into his build as a minion - this is another character from the book, a hacker that is enhanced and hardwired into a computer system and can read and control virtually everything on the planet linked to a computer. His Ritualist Advantage is more akin to being able to use Expertise Genetics to create godlike beings. I'm debating whether or not I want more characters from the novel running around, but Xander and Argus are a good start. I also have Rick Ramsey (Hyperion) a few builds up. He is one point over 180 PP, again NPC. But at the same time, his Ancient Greek and Greek languages are a throwaway point. In the Merge Universe, Xander quickly set about consolidating a base of wealth for himself - taking the identity of a wealthy businessman (Benefit: Assumed Identity) and redirecting that wealth to his own ends. He managed to create an Apotheosis Chamber in a secluded location - not wanting to risk using Olympus even if it wold be his preference. He's also read the book where he "comes from" and is taking steps to avoid that fate. This version of Xander would be from just before the beginning of the book. Last edited by Bladewind on Wed Sep 12, 2018 12:02 pm, edited 4 times in total. Responsibility (The Dark Side)- The Dark Side is dangerously-close for all Jedi. Using Dark Side-like powers (like strangling someone with The Force, or crushing them internally), killing defeated foes or otherwise killing needlessly, and even using All-Out or Power Attack too often can lead the Jedi down a dark path. The Dark Side is "quicker, EASIER- more seductive," and the temporary boost of power can easily tempt one. Excessive use of the Dark Side will twist one's spirit, and mangle their body. Responsibility (The Jedi Order)- Jedi are under numerous rules (never falling in love, stuff like that), and their mission is to keep peace and order throughout the galaxy. 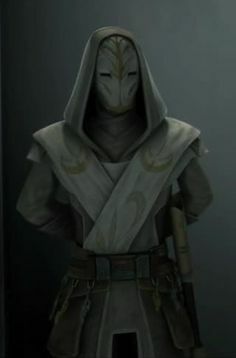 Responsibility (Anonymous Sentinel) – Having taken the role of Temple Guard pre-Merge, he's supposed to be a faceless and anonymous representation of security provided to and for Jedi and important Jedi locations. Ever since the original interest check for the Merge, I've wanted to play a Jedi. Someone always calls it first, whether or not they make it into the game so I let it slide. I've designed Satele Shan, Asoka Tano and helped design Kar'Anna Mareneth. I hemmed and hawed about a lesser known Jedi but decided to create a native born character. PL 7/ 105, traded down for extra PP. Skills 3/4/ Social Advantage per rank of Presence, +3 PP earned so far. He has Variable Senses. Although not flawed, the power is essentially any mental sense. He can also enhance his Perception and Insight with it. I listed the most common Senses that he manifests. for the Lightsaber, I went with Weaken instead of Penetrating. I also put the weaken in his Force Array, making the "true power" of a Lightsaber linked to the power of the wielder. his armor is Jedi Temple Guard armor, covered by a trench coat. I would imagine that in his current role, the armour is actually darker - as in almost black - instead of the stark (and very noticeable) white. update 20/09/2018 - I rearranged some skills and advantages to take the equipment and turn it into a device. 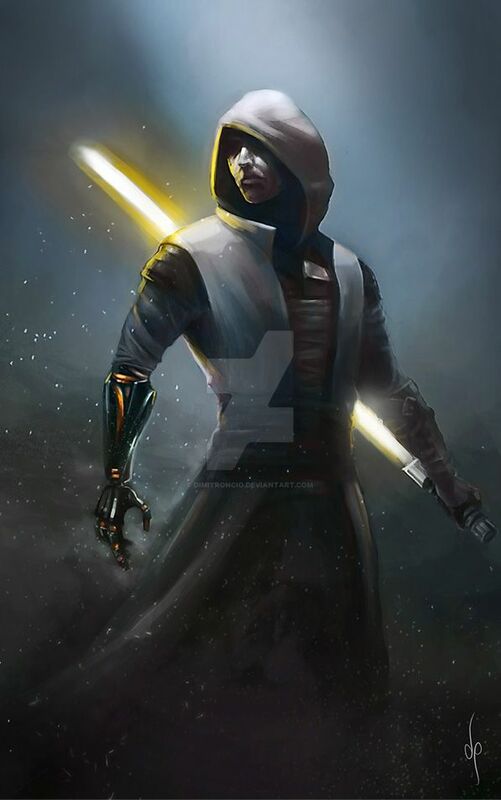 Essentially it can become any clothing he wants - from his Temple Guard uniform to Sith Armor or anything else. Pre-Merge, he was a cop and Star Wars enthusiast, and participated in lightsaber mock duels and was at one point part of the 501st Legion. When the Merge happened, he found himself drawn to Australia where he became a temple guard after developing Force Abilities. Present during an attack by Imperial Forces, he survived and was rescued by Satele Shan. He traveled with her for several months when they both found themselves working with the DXDO. Eventually, perhaps temporarily, they've gone their separate ways, with Koral operating with squads more directly involved in research and investigation. Last edited by Bladewind on Tue Oct 16, 2018 3:10 am, edited 2 times in total. 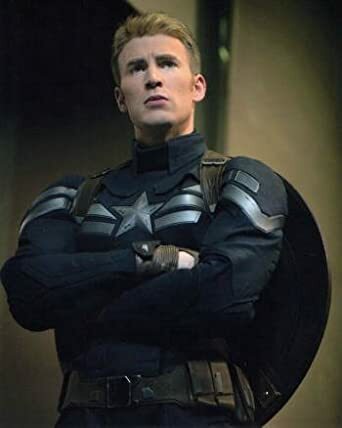 Motivation: Responsibility (Legacy) Regardless of where he's from, he's the son of Captain America. And the spitting image of Chris Evans' version of said character. People are expecting things from him. Great things. Responsibility: Burdens of Leadership. Rogers finds himself following in his father's shoes to a great extent and if often looked at as a leader, even when he doesn't want to lead. Original Merge Game character creation rules. Traded to PL 10/ 180 PP with the allotted 22 PP that were earned in game. Concept is a "grown up" version of James Rogers from Next Avengers: Heroes of Tomorrow (using movie as basis, ignoring comic appearances).